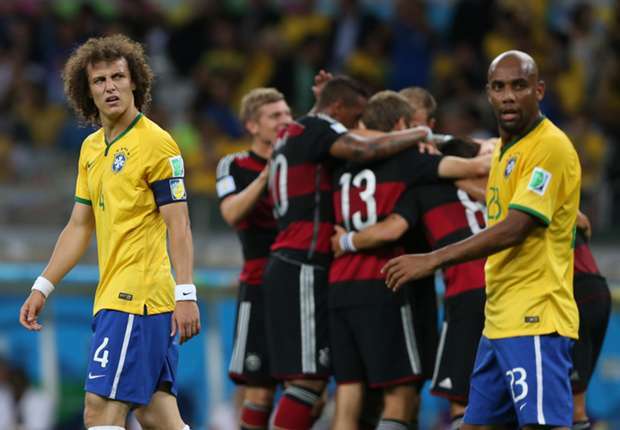 Nobody expected the embarrassing 7-1 loss of Brazil to Germany World Cup semi finals. But as critics groaned and Brazilians cried, another unexpected event transpired. 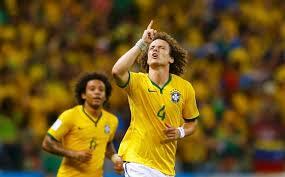 Brazilian defender David Luiz dropped to his knees and prayed. Amid a gaggle of self-lovers, braggarts and primadonnas who make up soccer’s elite, it’s refreshing to see genuine Christians. To thank God publicly for a victory is admirable. To thank God for a defeat is maturity. After all, it’s only a game, though the way people follow it — and the way money is thrown at it — you’d think it was god. And God is not a game. If we lose, let us remember that God doesn’t favor any team. He wants people to get in relationship with Him, starting now and continuing on into Heaven. I like that more than seeing Argentina win tomorrow. Brazil lost, as expected, to Netherlands today. Defense was shoddy. But Luiz is winning at a game that is much more important than soccer. Brazil was supposed to crown itself king in its own country. Its brand of soccer an irresistible wave of yellow. Eleven players who dominate possession, who dance past defenders, who weave intricate webs of passing, who strike with precision from close range or with power from distance. But Brazil was eliminated from the 2014 World Cup by the Germans, who have reduced soccer to a science. Brazil played its usual, open soccer. Defenders were free to making bombing runs forward in attempts to overrun opponents with sheer numbers of quality players. But Germany foiled their plan, finding more holes in their defense than a net designed to hold water. At the end, the greatest humiliation in soccer had been done: 7-1. Now more than before, criticism leveled against the U.S. coach should be silenced. The U.S. lost to Germany, but only by 1-0. Jurgen Klinsmann played a tight defense and achieved a respectable result. Brazil’s trademark of open soccer got repudiated. If you want to win, you had better defend. If you don’t defend all your lanes, you’re leaving yourself vulnerable to attack. If we want to execute an attack against the devil, then we had better defend. Defend our marriage and our children. Defend our heart with a guard against worldly entertainment. Defend our soul with persistent prayer, Bible study and church attendance. 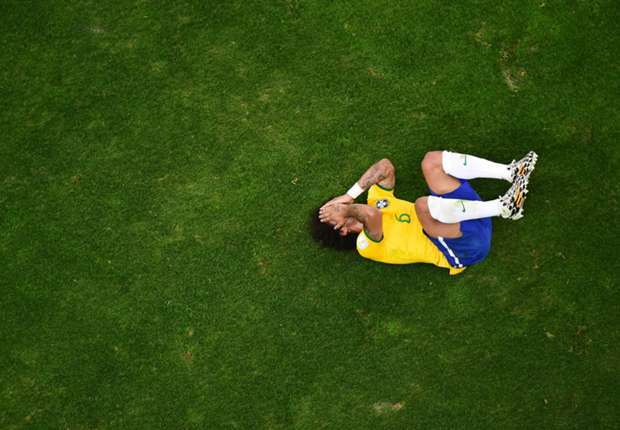 Instead of raising the trophy, Brazil crashed and burned in ignominy. To say Brazil was HEAVILY favored to win Olympic gold is an understatement. 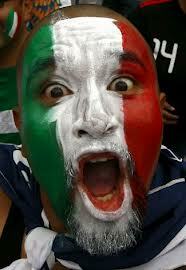 Mexico had never won a major soccer tournament. Never. And Brazil? The five-time World Cup champions only lacked this one accolade. So Brazil was playing to pick up its only missing piece of silverware while Mexico was playing to get its only trophy of significance. But Mexico played hungry. The under-23 squad played with heart. The underdogs were sharper, quicker, more self-demanding than their overlords. 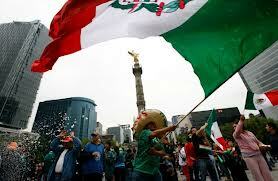 So on Sunday, Mexico shocked the world with a 2-1 win. I’m not surprised. Hunger outweighs raw talent, speed and tactics. Hunger drives you. It compensates for everything. When you pray, pray with hunger. Don’t worry about fine-sounding words. Fret not about theological correctness. Don’t waste your time with grammar and syntax. What counts is that you pray with hunger! During the days of Jesus’ life on earth, he offered up prayers and petitions WITH LOUD CRIES AND TEARS to the one who could save him from death, and he was heard because of his reverent submission. — Heb. 5:7 NIV (caps mine).